And now, a treat! Three, in fact. These are the three homemade staples that I flat out refuse to buy in a store. The homemade versions are just so, so much better. Test it out for yourself! 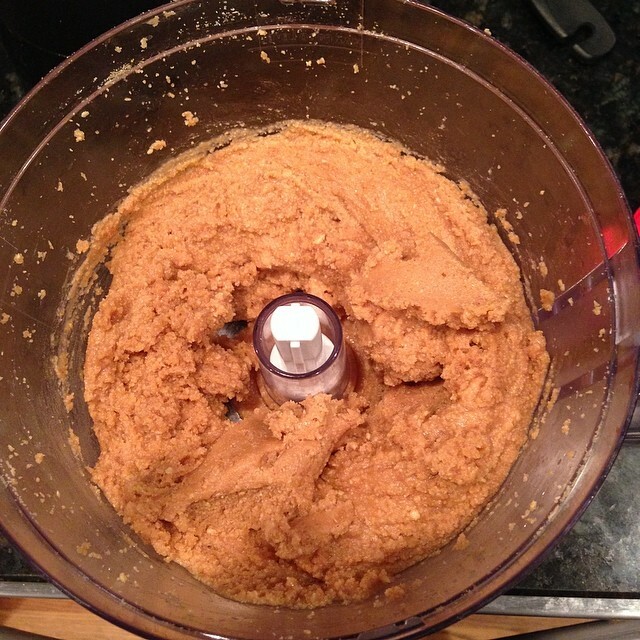 Old picture from when I only made PB in a food processor. It works just as well, although your PB may be crunchier than it is smooth. This is SO simple and delicious. If you have a peanut allergy, I apologize for starting with something so amazing that you cannot have. For this (and the rest of the homemade staples) I use my trusty Blendtec blender. The Blendtec is mighty and works really well, but if you have another blender you love, use it! You can also use a food processor. Add three cups of peanuts to your blender. Blend for about a minute on a medium setting. Add two tablespoons of peanut oil. Scrape down sides, blend for another minute or two, stopping to check consistency periodically. It’s done when it’s as smooth or as crunchy as you like it. Store: in air-tight container in fridge for up to two weeks. I actually don’t have a picture of MY hummus. 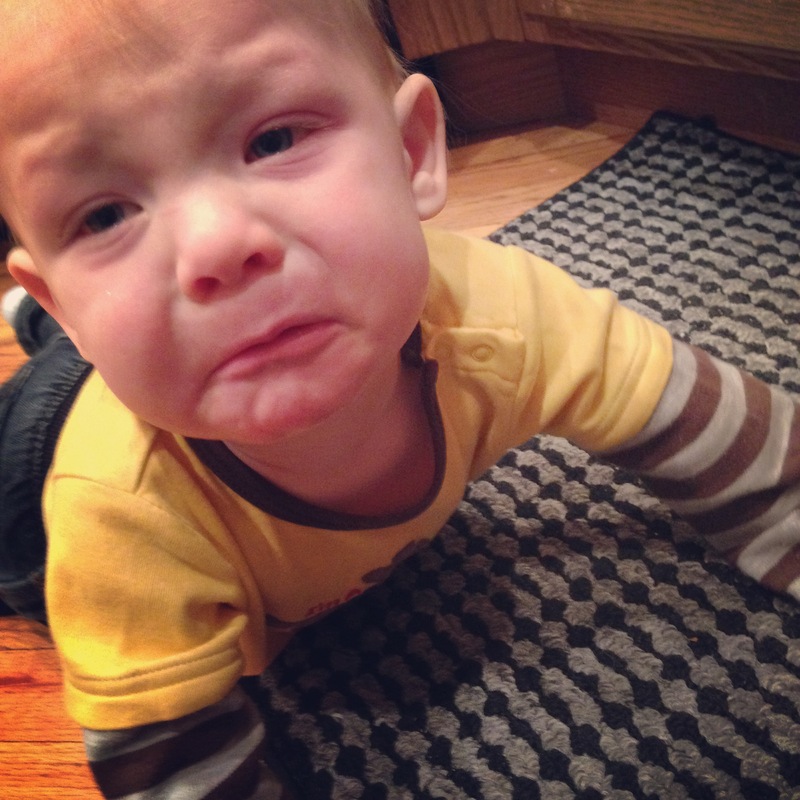 So here’s Ev, who loves hummus, and is pretty sad about that. Blend until smooth. Once you’ve mastered the traditional hummus, experiment with spices, roasted vegetables, herbs — whatever flavors you love. If it’s a disaster, it’s a disaster. Don’t make the same mistakes next time. But please have a next time! Store: in air tight container in fridge for up to two weeks. This photo doesn’t do the salsa half the justice it deserves. 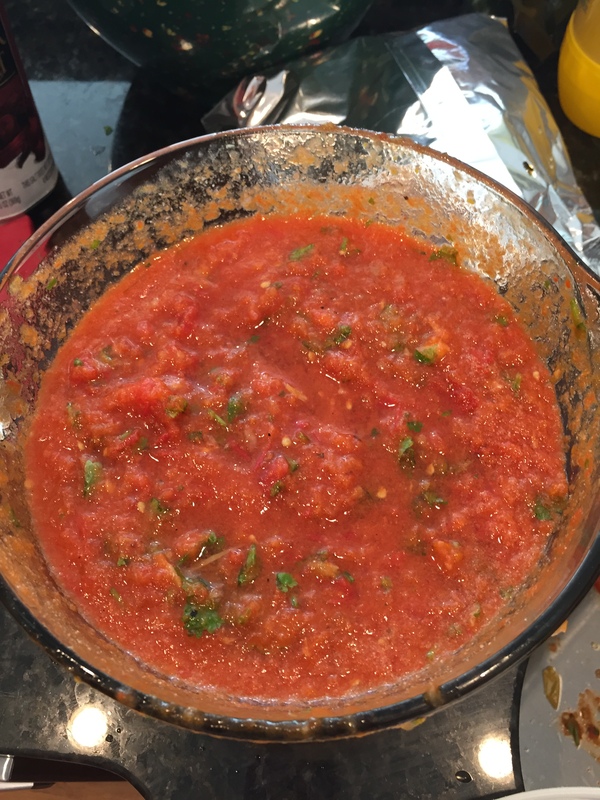 I am completely biased and this is the best salsa on planet earth. I grew up loving salsa. Anything from a jar or restaurant was equal and delicious in my book. Then I started making my own, and a salsa snob was born. This has a few more steps and takes longer than the other two — but I assure you, it is worth it! Place the whole bell peppers, jalepenos, and onions on the grill and char until all of the skin is black. Allow to cool, and peel off outer burned layer (if you peel while holding it under running water, it can be a little easier). Rough chop the grilled veggies and the tomatoes. (NOTE: remove the seeds from the jalepenos unless you want your salsa HOT! Leave in some for a medium salsa. Remove all for mild.) Chop the cilantro and garlic; add everything to blender (you may need to do this in batches). When the mixture is the consistency you like, add salt and citrus juice to taste. This may take a little trial and error on your part. Have a bag of tortilla chips at the ready, and go to town. oxygen masks and self care OR five ways to a better you!